One of our favourite chassis just had an update for 2019 and it’s looking very good indeed! The latest version of the SG-K7 from Segotep features the same triple tempered glass panels and customisable nameplate that made the original stand out from the crowd, but now they’ve improved on the RGB controls (four RGB fans are included with the chassis) by placing a quick and easy RGB selector button on front of the case! 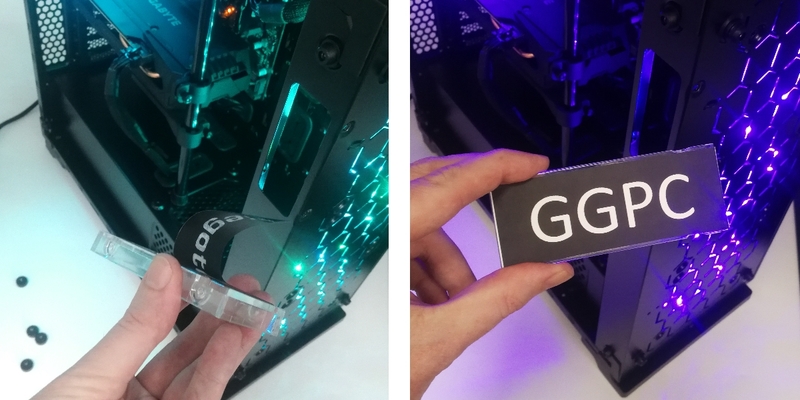 If you’re wanting to customise your nameplate there are 4 screws in total, so you need to remove the front glass panel so you can access the two front screws (the other two are easy to find inside), once those are out a little clear plastic panel (with the default Segotep sticker on it) can be removed. When we peeled off the default Segotep sticker it left a little residue which we quickly cleaned off with some meths. 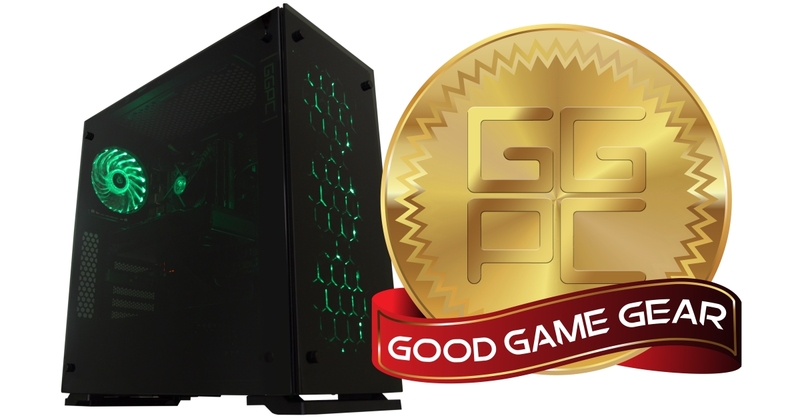 You can see more of the chassis on GGPC Instagram, and undoubtedly as a whole range of new GGPC Gaming PC coming in 2019 too! Recently we teamed up with our friends at PB Tech for a quick YouTube Guide on How to Make Your PC Dust Free and in this we used their cheapest RGB triple fan kit, the Segotep RexGB to sidestep the issue of running out of fan connections on a motherboard so the video would be more helpful. Before we get into the advantages offered by the Cooler Master Kit below is a quick video showing some of the lighting options offered by the Segotep RexGB. We can all agree the Segotep RGB fan kit is pretty awesome to look at and they definitely provide excellent cooling for the price also, however… The Cooler Master MasterFan Pro RGB fans can be used to allow for a visual indication of system component usage, PC heat levels and more! When you install the Cooler Master fans, you’ll notice these have two cables coming off each, one is a standard 4pin fan header and another is a special RGB header connection – the kit also includes a HUB but we won’t use this for AURA features so be sure you’ve got 3x fan headers ready to go. This connects to the RGB header on our motherboard, not all motherboards have the right version of these though, double check the motherboard says either AURA for Asus and FUSION for Gigabyte or Aorus. Because we’ve got the Asus Motherboard we’ll be using the software package called AURA in our guide, looking at the Cooler Master Fan box again you’ll notice this logo appears here as well. Finding the AURA software package can be a little tricky, it’s not on the official drivers or utilities website for your motherboard or your fans – instead, you’ll want to go to this dedicated Asus AURA Download page, then select the download tab up top, then select the most recent version to trigger the download. This will download as a zip file so unpack that, then run ‘setup’, it’s small and quick. With our Aura software installed, you first need to calibrate our RGB before jumping into the special features. To do this simply select the ‘Settings’ tab in AURA, then click the calibrate button, from here it will ask you what colour your fan is, after you select each option it will change the colour and ask again, very easy! let’s start off with something useful, system component usage. Using these settings we can choose the colours displayed when the PC hits various marks under stress – at idle it’s a calm green, firing up moderate task gets us into a cool yellow, so we know our PC is processing things, but it’s still got plenty of power to use, firing up big game gives us a vibrant red signalling we’re using everything our PC has to power this task. Looking GOOD and also useful! How about temperatures? For this one, it turned out to be a tough demo to do because along with all this RGB the fans also provided excellent airflow through our chassis… In the end we have to tweak our lighting zones markers as shown in the sliders below and even blow hot air into the PC via our trusty custom water pipe bending gun! Pretty cool right? or maybe hot… anyways! This is made possible by the technology built into the motherboard, and fans aside for a brief moment this same software can control other AURA ready components connected to the motherboard like our G.Skill ram, and it’s easy to sync every compatible part all from the one software package, this can be used to make your PC dance to music and all the usual pulse, strobe strobe, flashy flashy stuff. There’s a lot more that can be done with Asus AURA with a little tinkering too, it’s actually pretty limitless as those fine folks at Asus also made the software development kit available. 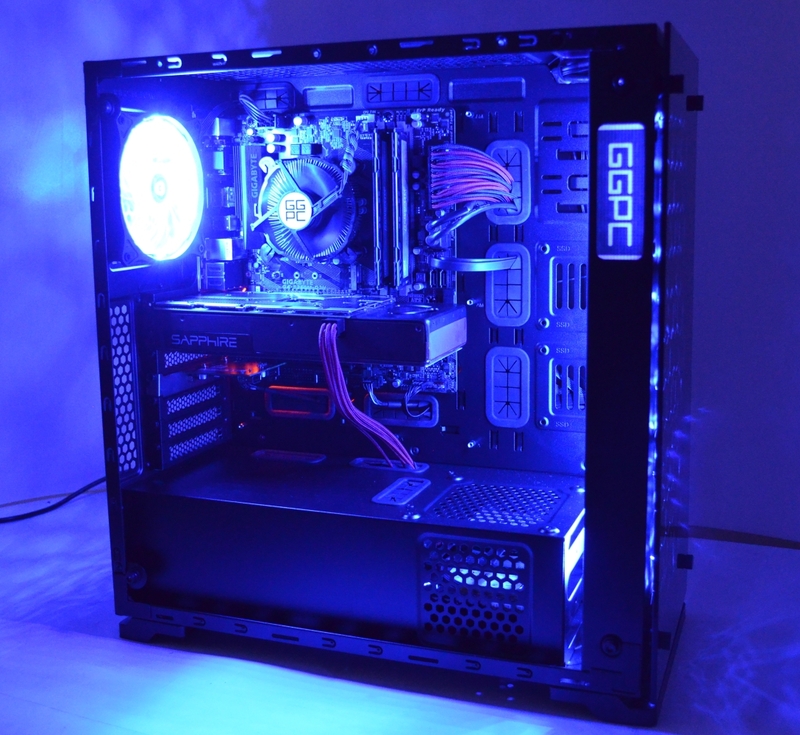 We hope you enjoyed this quick guide on RGB PC fans with a purpose, be sure to keep your eyes on our Gaming PC Blog for the latest! 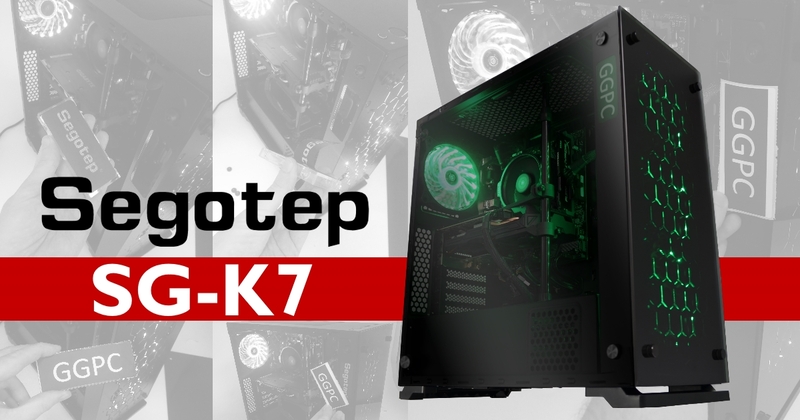 Good Gaming PC Case – The Segotep SG-K7 RGB! Throughout 2016 we were treated to a range of outstanding new chassis as manufacturers embraced both tempered glass and RGB lighting in their chassis lineups 🙂 Of all these new cases though one has really stood out, from a manufacturer known as Segotep who also made our orignal GGPC Shaman chassis known as Warship. This new case is a massive leap ahead in quality and looks a lot like the InWin 805 but with slightly different front IO placement, a big PSU shield and comes pre-fitted with 4x 120mm RGB fans. 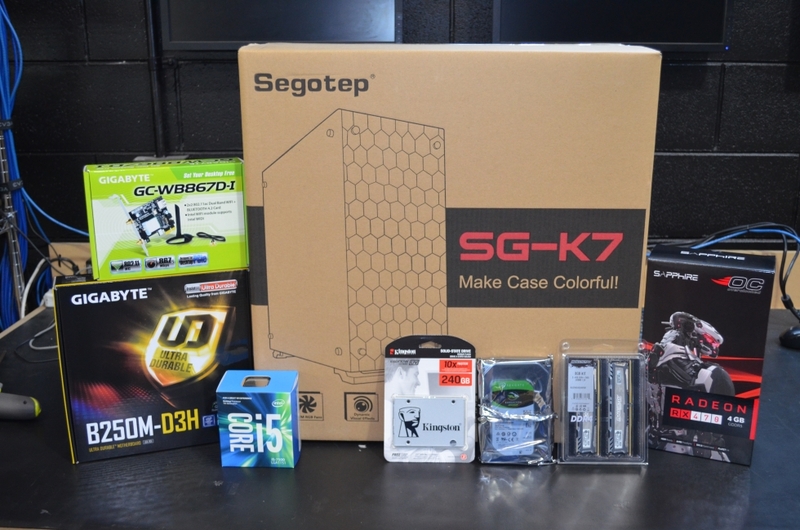 There’s no better way to get to know a chassis than building a gaming PC in one so for this blog we designed one that’s using the new B250m motherboard from Gigabyte and fitted the new i5-7500 taking a little time to wrap the cable up on the included CPU cooler so it looks nice. Another good thing about the new motherboards is we get to use 2400MHz ram this time around – the previous 2133MHz limitations are removed giving us access to a much larger variety of kits at the faster speed which is great for us as we like to try out new parts whenever possible – the new G.Skill Trident RGB is coming in 2400MHz so we’re extremely happy about this little change up! 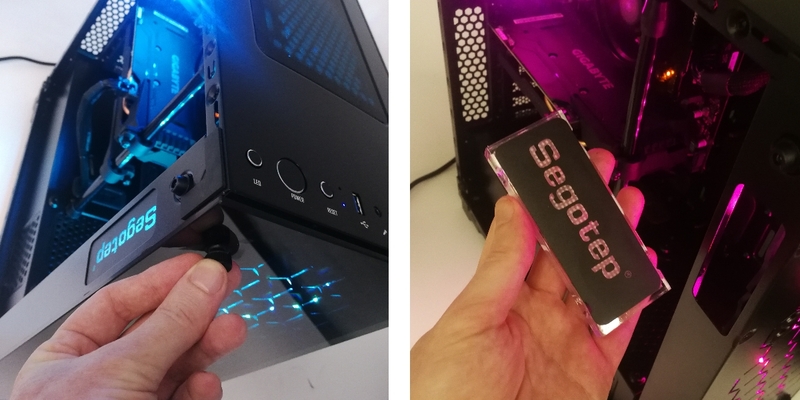 Putting it all together was a quick process and once we successfully did a little boot test I thought I’d spend a moment doing something with the Segotep SGK7 I haven’t really seen any other chassis do – adding a custom RGB name plate! 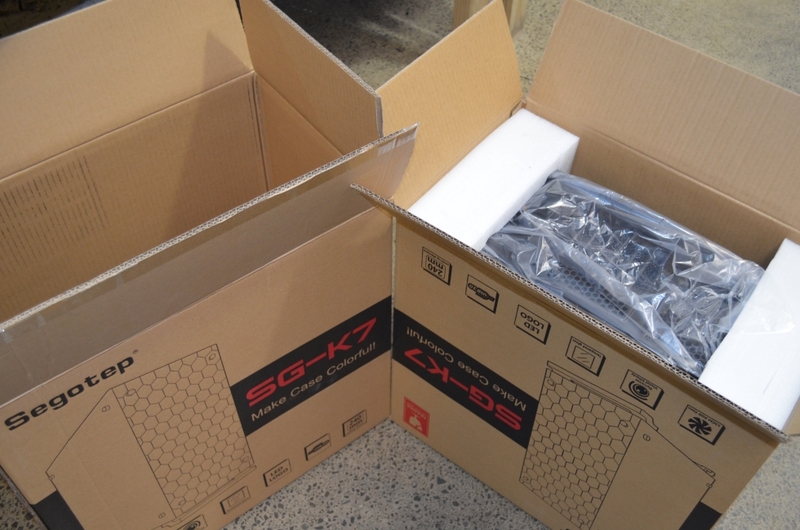 We’ve not seen a chassis this good available for so little before especially in New Zealand and on that note, now that we’ve built a Good Gaming PC in this chassis we are happy to give it a well deserved recommendation to anyone looking for a top chassis at a great price – The Segotep SG-K7 is GOOD!